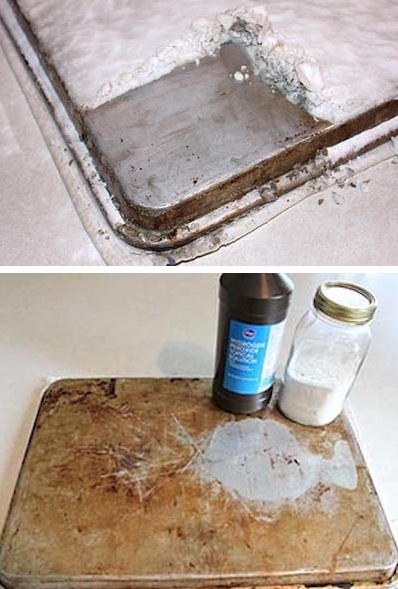 I actually have a few cookie sheets that look just like that – gross! They seem to rust and get grimy really fast. I just cover them with foil before doing any actual baking. Time for a cleaning? I think so. Not only does this cookie sheet miracle cleaner only require two ingredients, but there’s also no scrubbing required! Just let it sit and do it’s job while you tackle other things.